This is central to my skin routine. I think about the least number of things I can do, and that’s what I do. I find that each time I try to add things, it only makes things worse for my skin. So even when I have a problem come up—a pimple, a rash, etc., I try to leave it alone instead of adding products to “fix” it. It usually gets better on its own without complications from added treatment. OK, some die-hard skin care junkies are going to go nuts on this. But I do not own a facial cleanser. Nor do I own a face-specific moisturizer, or toner, or anything else made specifically for the face. I normally wash my face in the morning with just water. During the day if I think I need it, I’ll splash more water on it. The actual cleansing comes during my shower. 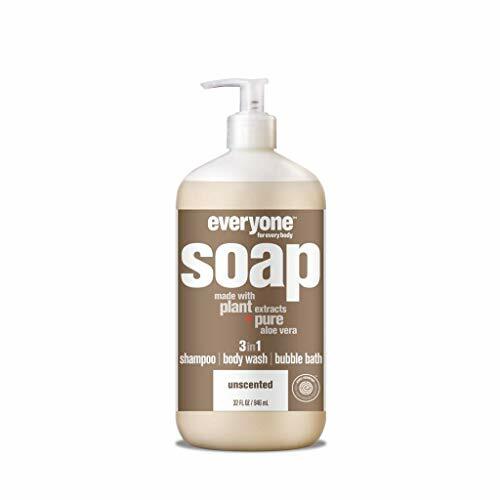 And I use shampoo (Amazon affiliate link) to wash my face. Yep, you read that right. It’s technically also a body wash. But definitely not listed as a facial cleanser. I use a silicone scrubby thing (Amazon link) to wash my face. It hangs on a hook in my shower, because that’s pretty much the only place I use it. 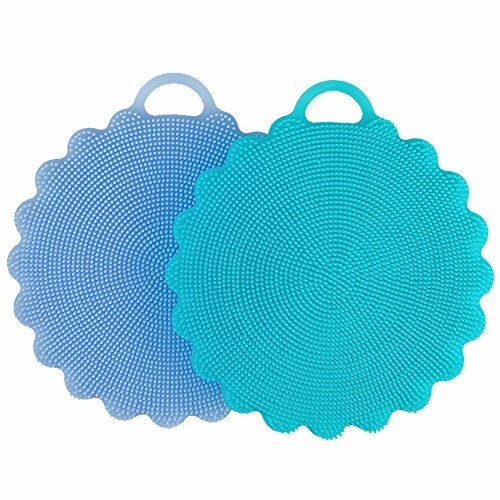 It was marketed as a dish scrubber, but since more than one came in the package, I use one for my dishes and one for my face. After I get out of the shower, I pat my face dry with a towel. That’s the extent of my cleansing routine. As mentioned above, I usually try to just leave things alone. I find that moisturizing my face usually causes breakouts, no matter what I use. Yep, lucky me—I’m in my 40s and will still get pimples. It doesn’t happen all the time, but I know it nearly always happens when I try to put something on my face. If my face is just a little dry, I will just up my water intake. I rarely wear makeup, and when I do it’s usually just powder. 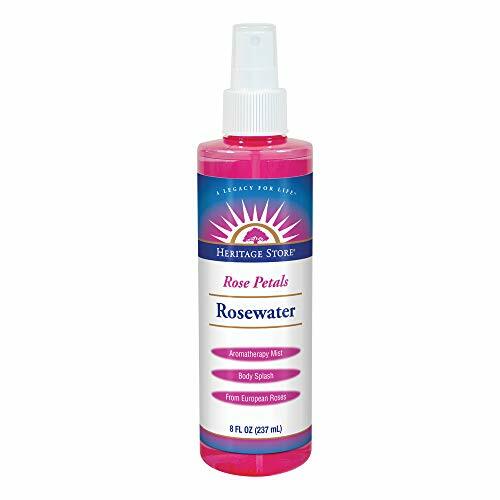 Sometimes after applying powder I will spritz a little rose water (link to Amazon) on my face for extra moisture. 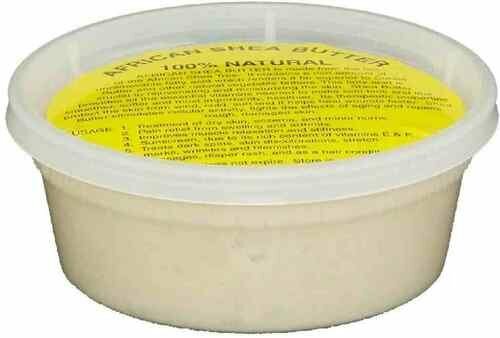 If my lips are really dry, I’ll put a little raw shea butter on them (affiliate link). But I do this sparingly because it’s better to hydrate from within, and I don’t like messing with my body’s self-regulation. The only other thing I do to protect my face is use sunscreen. For a while, I was taking medication that made my skin photosensitive. Even with sunscreen, I would break out into a rash each time I went into the sun. My doctor then told me I might also be reacting to the sunscreen itself, or rather the additives in it. After much research, I started using the purest, most non-toxic sunscreen I could find (Amazon affiliate link). I haven’t had any sun rashes since. That’s the entirety of my skin care. Each time I try to add to it or change it, I regret it. My skin is happiest this way. Do an empirical test of each product. Stop a single product for 1-2 weeks, and see what changes. Is it really making any difference? Does it make anything worse? How much is each product costing you? Is it worth the cost with the benefits you receive? Are there things that have been sitting on your counter/in your drawer/inside your medicine cabinet that you rarely or never use? Do products expire before you finish using them? Is there something you could do instead of using products to make your skin healthier? For example, you could drink more water, get more sleep, exercise, or eat more fruits and veggies. When you run out of a product, consider not buying a replacement. Go without it for a month and see if you miss it. I hope you found these tips helpful. If you decide to simplify your own skin care routine, let me know how it goes!